The Alley Way Stamps: Happy 4th of July!!! Hey guys! It's Julia here today with my first post for the Alley Way Stamps! Today I'm sharing a card I created to celebrate! Earlier this week it was Canada Day, and since today is the 4th of July, I thought a fun lightning bug shaker would be a fun celebration card for this time of year. For my card, I used the Bugging Out mini stamp set, and the coordinating SVG files. Hey there friends!! Jeni here. I've got a cute little monster from the Oogles set. I also used the ink splat images from the Oh Splat set. And, my sentiment is from the Express Yourself set! Hello there! Lexa here, today I'm going to share a fun card using Cha Cha Cha and Neener Neener stamp sets. 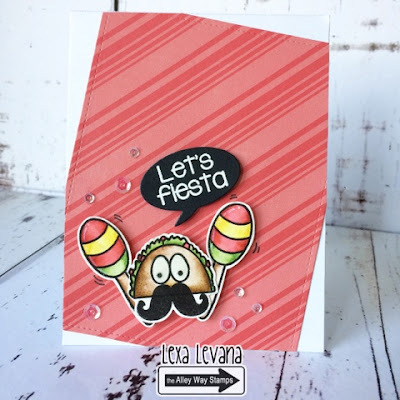 I have the idea for a moustache taco is holding maracas. Heehee. I think somehow it will work. So here it is! Hello, Emily here. Happy 4th of July everyone! 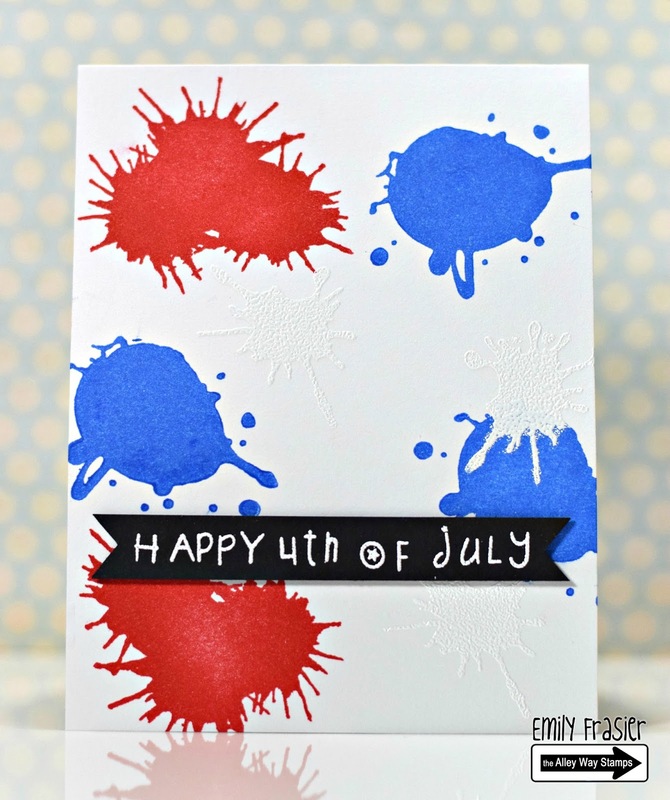 I'm making this card for the occasion using Oh Splat, and Express Yourself. Hope you're having a wonderful day! Hi everyone it's Holly here.. today I'm using the fun new set Oh Splat as well and I created a fun card using lots of bright inks. This is a great card that can be used for several different occasions, just by changing up the sentiment. What an awesome collection of cards! I love the 4th of July cards!